If you want to stay in shape you have to make it a lifestyle change. Fad diets and die-hard exercise programs may work in the short run but once you return to your old habits you will lose the results you worked hard to achieve. Here are a few tips to help you make fitness a lifestyle. Make one change a week to your routine: Changing it all at once is overwhelming. Find an exercise schedule that works for you and stick to it: Consistency is the key to success. Do something you enjoy: You should want to work out rather than forcing yourself to do so. Incorporate healthy eating into your regime: Eating well will motivate you to exercise more. Recruit a workout partner: It is easier to stick to your plan when someone else is counting on you. 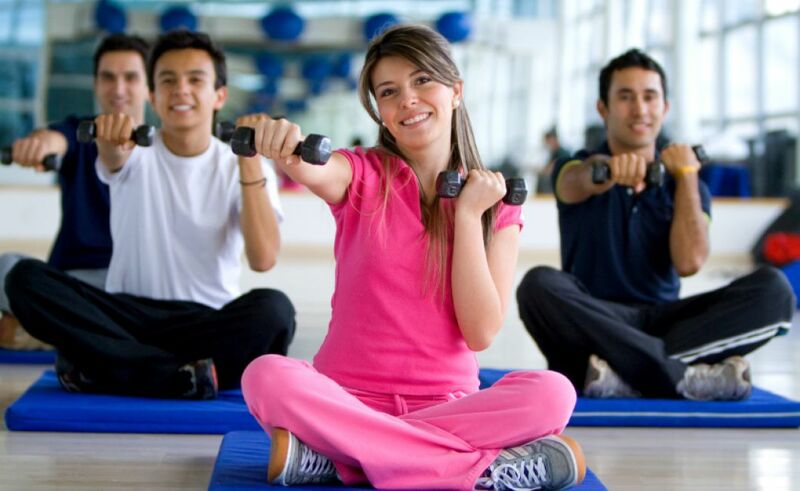 Join a group exercise class: Studies show those who attend group fitness classes are much more loyal to their fitness routine than those who go it alone. Get Corpbasics certified through the American Council of Exercise. Lead by Corpbasics' founder Andrew Haynes, we have 12 certified trainers the CBC Fitness & Training Club and other local gyms. Discover just who they are and why they love this work. 2011-12-13 Best Kickboxing Class, Boston.com's A-list. 2012-13 Reader's Choice Award, #1 Best Gym, #1 Best Weightloss Program, Wickedlocal.com. We'd love to have you come visit us! At one of the many gyms that one of are team teaches classes at.